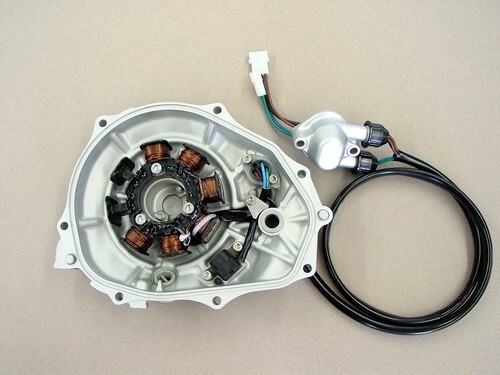 Stator Solutions will restore your 800 sx-r stator to like new condition. We use high temp non melting insulated wire with stranded silver tinned conductor, new connector pins, new rubber wire seals, O ring seals, stainless hardware, etc. Die cast Cover glass beaded to remove all corrosion, primer and new finish applied. Rewinding of battery charging coils NOT included. Price is for typical used and tired part, with burned wiring harness and some corrosion to cover.